U.S. drivers pay an average of $935.80 a year on car insurance according to the most recent data from the Insurance Information Institute. So car insurance companies want your business, and they fight for it by offering deals and discounts on auto insurance policies. You’ll have to do some comparison shopping to find the best cheap car insurance, though. 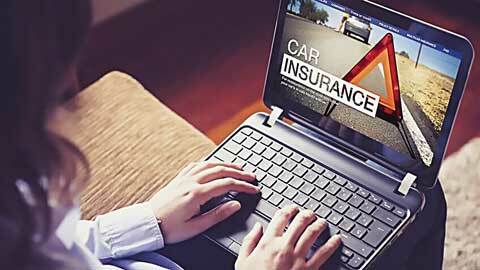 You can find great deals if you do your homework by gathering various auto insurance quotes. GoBankingrates has taken some of the work out of it by combing through car insurance agencies to compare prices so you can get the best car insurance rates. If you’re looking for the answer to, “What is the cheapest car insurance?” you might be overwhelmed by the number of insurers. To help you compare rates and options more easily and decide which auto insurance could work for you, GOBankingRates compiled a list of well known car insurance companies and got free car insurance quotes from them using the same driver persona factors. 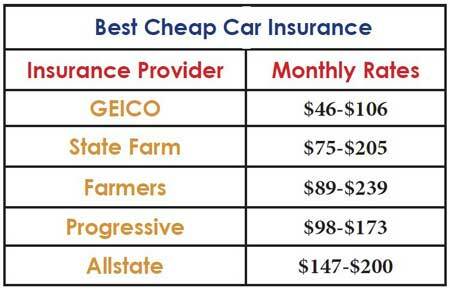 Here are the best rates from the best car insurance rates from the best car insurance companies. The nation’s second largest auto insurer — and one of the best auto insurance companies — GEICO boasts a customer satisfaction rate of 97 percent and promises customers they can buy cheap auto insurance online. GEICO claims it has the financial strength to deliver the best cheap car insurance to drivers without compromising on quality or service. If you insure more than one vehicle with the company you save up to 25 percent. Bundle your homeowner’s insurance with your auto policy and you can save even more. As a customer, you’ll have access to a locator that helps you find the cheapest gas, a car buying tool, and special discounts if you’re in the military, accident free, a member or employee of certain groups, or a federal worker or student. State Farm is the largest auto insurance provider in the U.S. Like GEICO, it utilizes its financial strength to offer discounts and maintain its service quality. State Farm’s Drive Safe & Save program uses your smartphone or the car’s OnStar or SYNC system to calculate up to 50 percent added savings, and the Steer Clear program offers cheap car insurance for young drivers with good records. You can also save by insuring multiple vehicles, being a veteran or active military service member and more. Farmers have experienced agents ready to help out with any questions you might have regarding your policy. In addition, its policies are customizable so you get the insurance you need. The company also says it handles claims quickly and easily, which most drivers will appreciate. Farmers offer a number of discounts, as well, for things such as bundling your homeowners and auto insurance, being a good student, insuring multiple vehicles and owning an alternative fuel car. Because the company’s discounts vary by state ask an agent for the ones available where you live. Progressive claims customers could save as much as $668 when they request a free quote. You can also get a multi–policy, good safe driver, multi–car, good student, teen driver, homeowner and more discounts. Progressive’s Name Your Price Tool builds a policy around your budget, and if you plug a Snapshot device into your car to prove you have safe driving habits, you’ll save even more. Coverage: Bodily injury, property damage, comp and collision, uninsured and underinsured motorists, medical payments, emergency road service, car rental and travel expenses. Another one of the best companies for auto insurance, Allstate will give you 3 percent off your rate if you sign up for and remain active in Allstate’s Drivewise program, which measures your safe driving behaviors and rewards you for it with cash back. You can also accumulate Allstate Rewards points redeemable for merchandise and gift cards by successfully completing safe driving challenges. Methodology: Results are based on insuring a non–hybrid, 2017 Toyota Camry LE owned by a single, 35–year–old, female driver with a bachelor’s degree who lives in ZIP code 90245 and got her license when she was 16. She uses the vehicle to commute to work and travels eight miles each way, five days a week, putting between 12,001 and 13,000 miles on the car each year. She’s gainfully employed and has had no accidents, traffic violation tickets or citations for driving under the influence in the last seven years. All insurance companies’ quote forms were not identical, and some asked questions unique to the specific insurer.